TGIF! One day and counting until the bridal shower for my almost daughter in law! My sisters are hosting the shower and we are having a few overnight guests in from out of town staying with us. So, I thought I would steal my niece’s favorite cake recipe. 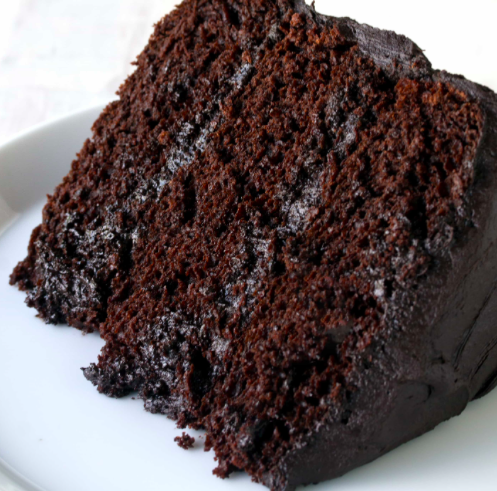 And it is The Most Amazing Chocolate Cake Recipe ever! Isn’t this the most amazing invention? Why did I not know about this sooner? I found it at Hobby Lobby for $19.99 and it was 40% off with a coupon. Win! Anyway, back to the recipe…. 3. Mix together flour, sugar, cocoa, baking soda, baking powder, and salt in a mixer on low speed until combined. 4. Add eggs, buttermilk, warm water, oil and vanilla. Beat on medium speed several minutes until smooth. 6. Bake for 30-35 minutes until the cake meets the toothpick test. 7. Cool on wire racks for about 15 minutes and turn out the cakes and allow to cool completely. 2. Add cocoa and vanilla extract and mix until combined. 3. Beat in powdered sugar, one cup at a time adding milk as necessary. The frosting will be very thick and will thicken more if refrigerated. 100% Egyptian Cotton Sheets-Are they worth it?